For you, Libra, this month bestows blessings in health, work, and fitness as well as your marriage, business partnerships, and agreements. For you, Libra, Pisces always activates your sixth house of work, health, daily life management, and service. All the Pisces planets will foster new desires to improve your health and fitness, streamline your life and work routines, and meditate about how you dedicate yourself to serving others. On March 5, Mercury will leave Pisces for Aries, followed by Venus’s entry into Aries on March 6. You’ll begin to feel the energies shift away from the watery, emotional realm of Pisces toward the fiery, "let’s get going" arena of Aries. On March 20, the Sun leaves Pisces for Aries, giving us the official start to the month of the Ram. For you, Libra, planets in Aries energize your close partnerships and agreements because they put fiery passion into your seventh house of marriage and business partnerships as well as legal agreements. 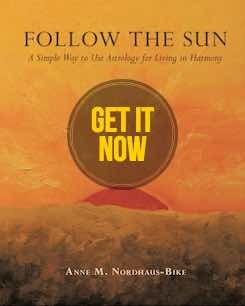 This area also governs competitors and people who may challenge you as well as efforts you make toward peace: as soon as the Sun enters Aries, you may feel pressures from others in your industry or in a legal dispute, and biding your time to consider alternatives will help you navigate successfully as you work toward just and peaceful resolution. March 1: A full Moon in Virgo lights your twelfth house of solitude, health, spirituality, and secret projects. Something will peak around this time, and you may realize you need to attend to a health concern or spend more time alone on spiritual needs or to complete a project behind the scenes. Balance time on your own with time for coworkers or acquaintances at the gym so your life feels connected to the outer world and supports excellent relationships. This day (and the day before and day after) favor spiritual work: plan time for meditation and prayer. See my article on How To Relieve Stress – Meditate At The Right Time for details. March 2: Mercury in your hard working sixth house forms a harmonious angle with Jupiter in your second house of earning, possessions, and values. You may hear about a raise or promotion, or a coworker may influence your thinking about what matters most in life. March 4: The Sun joins with Neptune and Mercury merges with your ruler, Venus, all in your healthful sixth house. Think about how you express idealism and higher love in your work, take a yoga or meditation class to link your body, mind, and spirit, and open your heart to a new pet or a charitable project sponsored by your employer. March 8: Jupiter goes retrograde until July 10. This giant, optimistic planet entered Scorpio on October 10, 2017, bringing expansion to your house of earned income, possessions and material security, and personal values. Perhaps you took a higher paying job since then, or you may have hired an arts guru to assign value to collectibles or artworks. With the retrograde, you have four months to review how you earn money, conscientiousness in budgets and bill paying, and whether your possessions and lifestyle reflect your values. Consider changes or improvements if needed. March 11: Mars makes a helpful angle with Uranus in Aries, while the Sun nods benevolently to Pluto. Taking initiative with sibling matters can help your marriage, and powerful real estate or property connections may help you land a new job or locate a valued new employee. March 13: The Sun in your job and health sixth house links to Jupiter in your earning house, prompting recognition for work well done and a possible raise or promotion or inspiring you to align work and values in "right livelihood." March 17: A new Moon in Pisces brings your best time all year to start a dietary or fitness program, find a new health provider, hire employees, or adopt a pet. Also, Mars leaves expansive Sagittarius for earthy Capricorn in your family and real estate house, giving you energy to redecorate, prepare to sell your house, overcome a challenge related to parents or other relatives, or dig deep into your ancestry to complete a genealogical project. March 22: Mercury goes retrograde in Aries. Use your powerful thoughts to overcome impatience and let yourself slow down, assess your marriage and other partnerships, review your business agreements, and make plans to address competition or work toward peace so your efforts can pay off after the retrograde lifts. Wait until April 17 or later to sign contracts, marry, or start anything new. Get details on making the most of this period in my Mercury Retrograde Dates, Advice article. March 23 and 24: Your ruler, Venus, and the Sun in Aries make difficult alignments with Pluto and Mars in your house of home, family, and real estate. Your partner may disagree with home improvement plans or older or powerful relatives may criticize you or your partner. Stay above the fray, and avoid disputes or making judgments. If a family member or partner presses the matter, listen calmly if you can or else table the discussion for a later time so you can rest, reflect, and build your case before responding. March 28: Your ruler, Venus, links happily with Uranus in Aries. Enjoy time with your spouse or betrothed and suggest an activity you’ve never tried together before, and your adventurous spirit will charm your beloved. If you’re not in a relationship, talk to everyone wherever you go as you could connect with someone unexpectedly. March 30: Your ruler, Venus, leaves Aries for Taurus. You may win a prize or hear about a commission or inherit artwork or valuables. If you’re working on a mortgage or negotiating child support, your charm can help you secure an outcome in your favor. March 31: A second full Moon this month arrives, this time in your sign, Libra. Something related to your health, personality, or a project dear to your heart will peak and give you clarity. This full Moon makes stressful alignments with several planets in your home and family house as well as the Sun and Mercury in your marriage and partnership house. Be cautious with these volatile energies, as hasty speech or actions could affect your health, image, family, property, marriage, or relationships with business advisors. Time working on career matters, establishing your legacy, or leading a community project can act as safety valves to channel these powerful energies constructively. Also, remember that full Moons (and the day before and day after) favor spiritual work, so plan time for meditation and prayer. Happy March, Libra! I wish you a wonderful month! That’s wonderful to hear! Thank you for visiting–and have a great month!